The stained glass windows of your church are veritable treasures to your congregation and the community at large. These beautiful works of art, like most, are fragile and need to be kept up and protected from the elements and other corrosive or potentially hazardous factors like air pollution or vandalism. 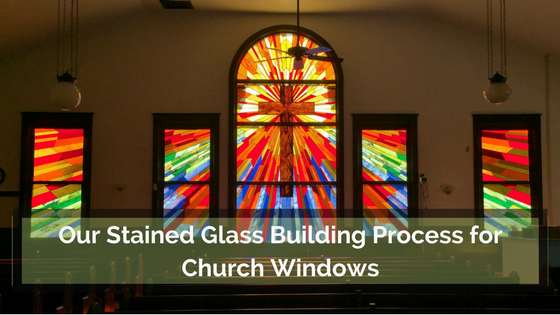 There are many ways to protect stained glass windows from various threats: metal grills, layers of sacrificial glass, glazing applications and more. As a general rule of thumb, a protective layer should not be added to church stained glass unless that window was designed for it. In most cases, the potential drawbacks outweigh the potential benefits. Take metal grills for instance. While great against vandalism they often time dramatically change the view of the glass on the inside with prominent criss-cross patterns. Another stained glass preservation method that is not at all a good idea is plastic or fiberglass coverings.  Although the plastic products are very strong, lightweight, and relatively easy to install, they will scratch, haze, and yellow over time, even with UV inhibitors. They also have a high coefficient of expansion and contraction, so the frames accompanying them must be designed to move and expand with them as the temperatures fluctuate. Poor installations of fiberglass or plastic in restrictive frames cause distorted reflections from bowing panels and even damage the historic frame. 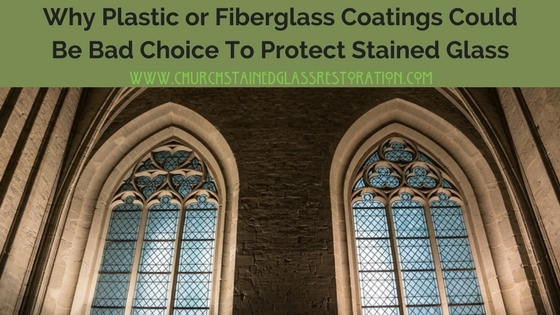 The better alternative to plastic or fiberglass to protect stained glass windows is protective glass panels. 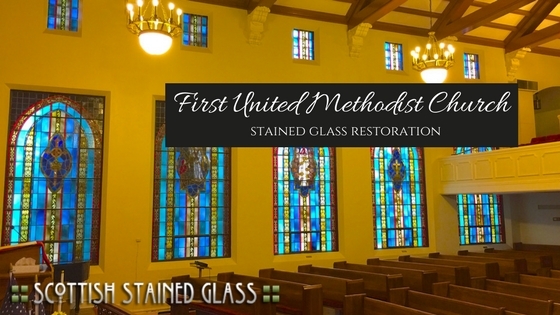 At Church Stained Glass Restoration, our preferred method of protection for stained glass we have built or restored is Protective Glass Panels. While it is true that protective panels of glass are heavier and more difficult to install and thusly more expensive, glass will not bow, scratch, or haze when exposed to the element. 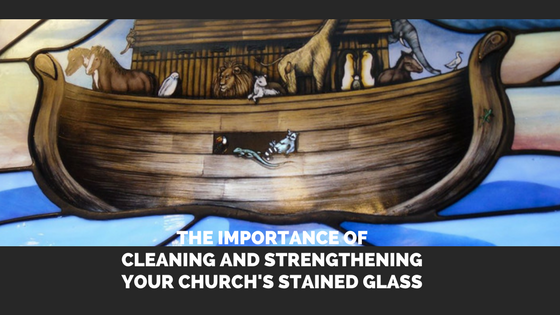 In terms of lasting beauty and historical preservation, protective glass panels for church stained glass are almost always the best option and one we employ frequently. 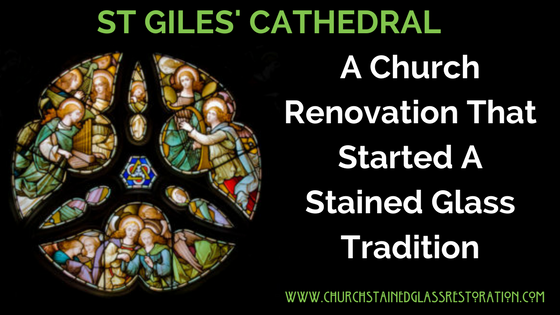 For more information on stained glass restoration for your church, contact us today and we will be happy to go over your options in a free consultation.